Your Wild Patch - give us some details about your own Wild Patch! 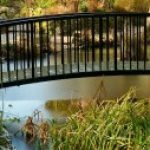 We have just started a volunteer group to support our local park. We plan to create a wild patch in a strip of wasteland between our school and the park.